PURE Papaya Care combines the highest quality ingredients to create personal care products which are natural and environmentally conscious. Each product is formulated by Daniel Baden, who has been a naturopath for over 25 years, and is the owner of PURE Papaya. The PURE range is proudly NATRUE certified. This is an international association that ensures natural products are held to the most rigorous standards. 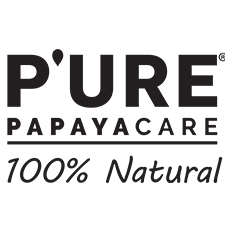 PURE Papaya Care has formally advised us that all their formulations are entirely free of palm oil and palm oil derived ingredients.